Can you help me to remove the head . Is there a tutorial here? I don't know how to remove the water pump and exhaust manifold. I have it online but I couldn't find clear instructions. Thanks, although the videos are for the newer engine, this is a good idea to search for the parts image and see their shape and holes. I removed the 2 nuts of the exhaust manifold using a 13 mm socket, an impact wrench and a flexible extension. I Better find new nuts. 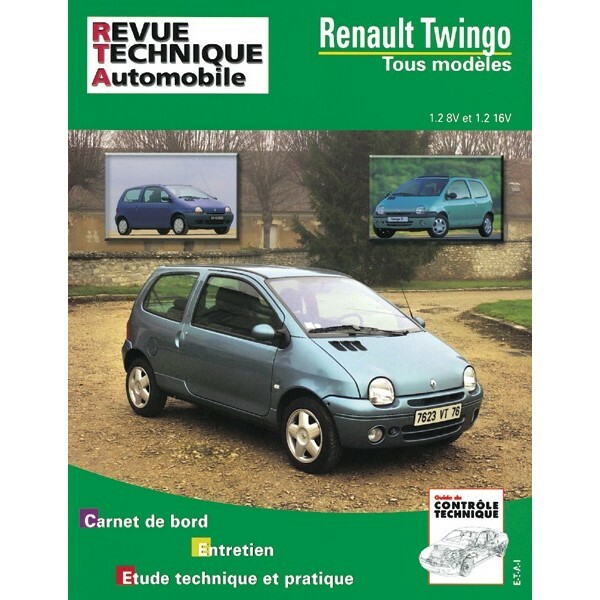 Anyone knows an online store which can sell Renault parts? Do I have to keep track of each of the 10 head bolts locations or I can mix them? Do you easely find pieces for your car in Israel ? This car was sold here for only 3 years with very small numbers. Very few still drives. Used to be easier. The dealer doesn't sell parts anymore. But I order from eBay mostly. It's much cheaper too anyway. 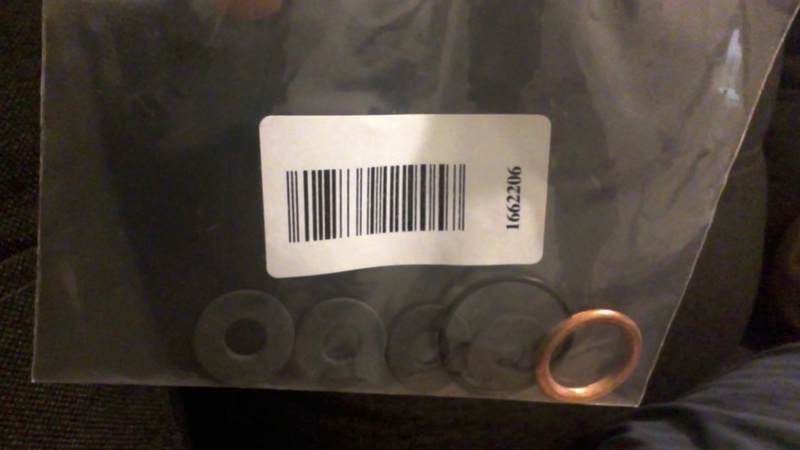 Does anybody know where those parts from the Ajusa gasket kit 52105000 should go? My heating matrix is connected with the pants with the bleeding port connected to the bottom port and the other pants connected to the lower port. But in this diagram it Should be the opposite. Can someone confirm the right connection? 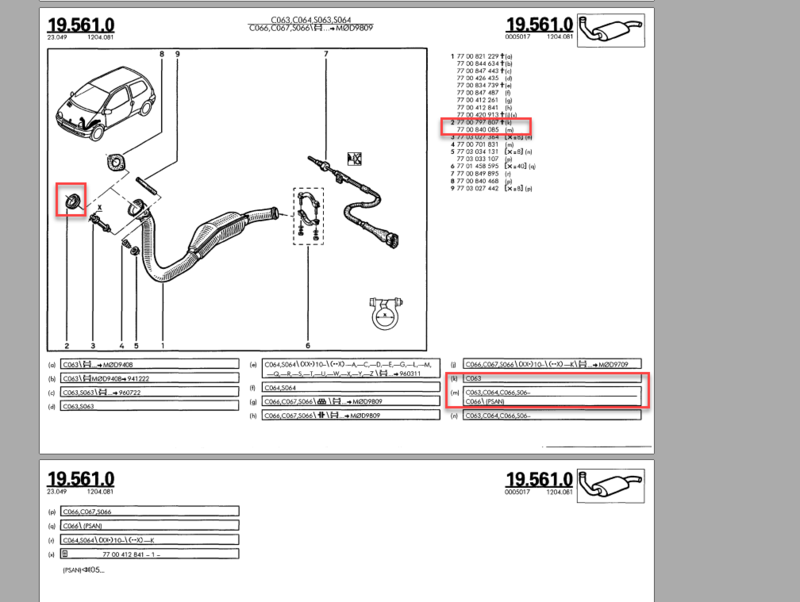 ok, I see in the parts diagram it is connected properly. 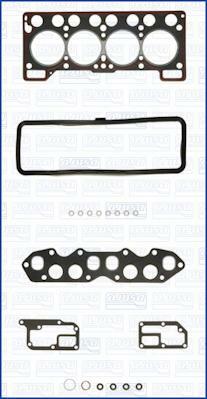 Does anyone know which gasket is suitable for my car? There are 2 options for c06. What does the cross sign mean? Are there any torque specs for the exhaust nuts and studs? and for the pump bolts and temp sensor plates? and valve cover? I don't know how to keep the gasket in place while putting the head back on, it's heavy and I've already ruined one gasket. I did it. 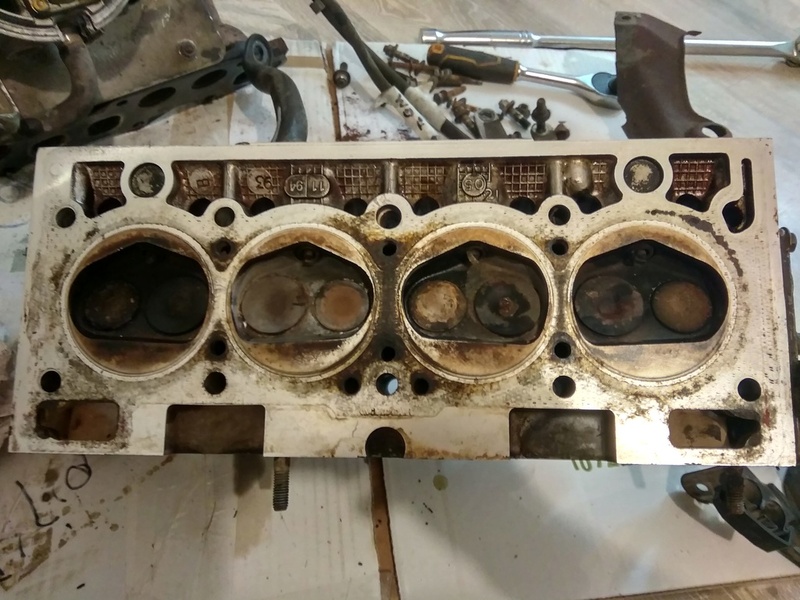 You have to be careful and only lower the head over the gasket vertically. I used 2 drill bits to make sure the gasket is locked in place in 2 corners, I removed one of them by hand and one of them from the head hole with tweezers. Actually I found out it is easier to remove the nut from the bolt (a lot of WD40 or the like is required there), screw the bolt in the hole and then get back to fix the nut. Easier that way, I guess the bolt is too short to get in the hole with the spring unloaded. That's what I did. I screwed on new bolts when the head was off the engine. Still it was hard to hold the heavy exhaust in place while putting the spring and compressing it and screwing the nut over it. I put everything back, I have sparks, the injector seems to work, but the car doesn't start. What should I do?